Being a fashionista is great, but being musically talented and a fashionista, Madeline Merlo is on another level of awesome. With new music on its way we can expect a “fresh, soulful and true to my country roots” sound. New music is pretty exciting, but Madeline has more big news to share – she was invited by the Canadian Forces to travel overseas and perform for the troops. “The overseas trip is an enormous honour. To be able to tell these men and woman, who fight for our freedom every day, how incredibly grateful I am face to face is truly a gift. It will be an experience of a lifetime and I am so happy to represent country music” Madeline shares. 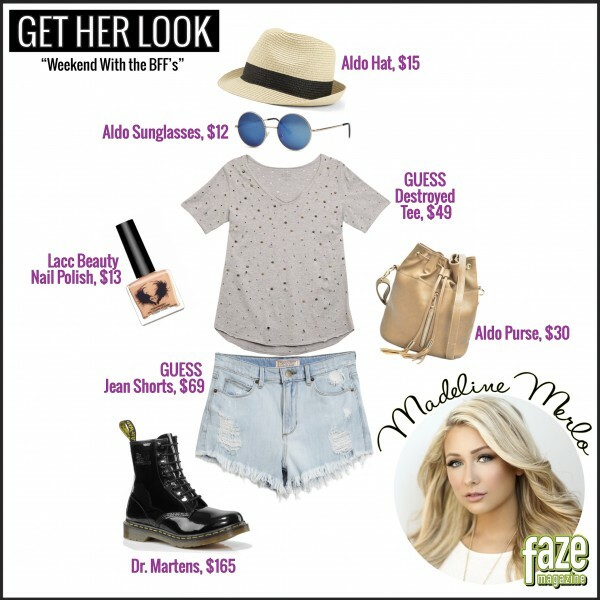 Check out Madeline’s #OOTDs for hitting up a country concert and hanging out with her BFFs on the weekend. Check out Madeline’s single “Alive” and keep up with her on Twitter.